If you own a bike, or are going to buy one, you will know that the most important accessory to have in your possession at all times is a helmet. A helmet is a head gear that you should wear while riding a bike or a scooter for safety purpose. Riding in traffic, highway or over speeding can be life threatening. Prevention is a must as this is about your life and that’s where a helmet comes in handy. A helmet should be bought keeping its quality in mind. Usually people buy a helmet, especially in India just to avoid the traffic police so that they don’t pay a fine. Hence, they end up buying low quality helmets that really don’t help in protecting your head while riding. To avoid taking risk, you should do bike helmet online shopping and buy a product that has the ISI brand mark. Here are a few types of helmet that you can buy that will keep you safe as well as enhance your look while riding your bike. These are the helmets which cover your entire head. These are the most ideal option as they provide full protection from all sides. The reasons why these make for a very good choice is because they protect all parts of your head, including face, jaw, etc. They also ward off the noise pollution during traffic and also protect you from extreme weather conditions. The only disadvantage is that they may be slightly heavy and because of their overall protection. Also known as the open face helmets, this kind protects your head except for the face. This is ideal for people who may be claustrophobic and need the wind to hit their face while riding. This kind of helmets come with a flip down sun shields that protect you from the heat but also exposes your face to sun causing a tan. Added protection such as a scarf should be worn underneath the helmet. This also allows for better visibility as there is no obstruction distracting your vision. You can also communicate better as your mouth area will be free. These type of helmets may be very lightweight, and easy to carry or wear, but they do not provide as much as protection as the other two kinds of helmets. This type of helmet is own by people who mostly ride a scooter rather than a motor bike. They do not provide enough protection as your entire face, ear regions and jaw is exposed except for your skull which fits just about right under the helmet. 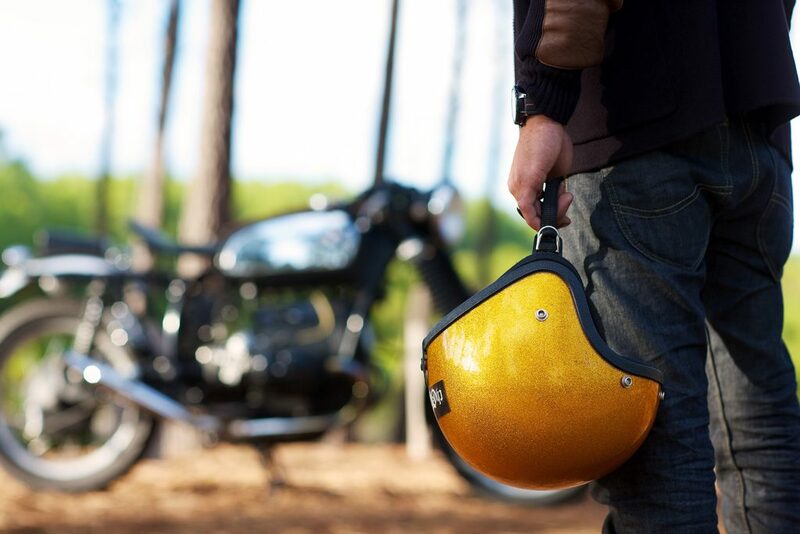 Also called as modular helmets, this comes with a choice of keeping your helmet fully covered or open faced. Hence, it provides you with the advantages of both kids of helmets. They are preferred a lot these days by youngsters who use bikes to go to college, etc. So choose the right kind very wisely after considering a lot of options. Helmets buy online is a better option as they come with a warranty and insurance.